Thomas Strothotte has a fundamental interest in scientific methods for studying language and graphics for communication between computers and users. His long-range goal is to equip computers with the expertise to communicate even subtle nuances to users through images. This goal has led him to carry out research combining the areas of language systems, human computer interaction, and computer graphics in unison with one another. He considers non-photorealistic modeling, rendering, and animation, the topic of the current book, to be one of the important building blocks in future systems for communication of ideas between computers and users. Strothotte is a Canadian citizen who was born in 1959 in Regina (Saskatchewan) and grew up in Vancouver, British Columbia. There he attended Simon Fraser University to earn a B.Sc. in 1980, majoring in physics with a minor in computing science. He continued for one more year to earn an M.Sc. in 1981 in computing science with a thesis on a parallel algorithm for specialized geometric transformations in graphics systems (see "Raster Display of a Rotating Object Using Parallel Processing" (with Brian Funt), Computer Graphics Forum, vol. 2, no. 4, 1983, pp. 209-217). In his doctoral studies, he concentrated on studying differences between natural languages and computer languages. In particular, he found out that the subjunctive case in natural languages is intimately related to the notion of backtracking as expressed in computer algorithms. This led to the definition of a subjunctive construct for algorithmic programming languages that enables easy expression of backtracking and can be implemented efficiently (see "Structured Program Lookahead" (with Gordon V. Cormack), Computer Languages, vol. 12, no. 2, 1987, pp. 95-108). For various reasons, he moved twice during the three years of his doctoral studies, carrying out his research on scholarships for a year each at the University of Stuttgart (Germany), at McGill University (Montréal, Québec), and at the University of Waterloo (Ontario). He received his Ph.D. from McGill in 1984. Concurrently with his thesis work, Strothotte developed his interest in the area of design and analysis of algorithms. He worked extensively with J. Sack at Carleton University (Ottawa) and others (see, for example, "MinMax Heaps and Generalized Priority Queues", Communications of the ACM, vol. 29, no. 10, 1986, pp. 996--1000) and spent a year as postdoctoral fellow at the Institut National de Recherche en Informatique et Automatique in Rocquencourt, France in the research group ALGO of Phillippe Flajolet. In December 1985, Strothotte went to Germany to specialize in human-computer interaction. He concentrated on knowledge-based systems for integrated language and picture communication in dialog systems in the group of Rul Gunzenhäuser at the Universität Stuttgart where he completed a German postdoctoral degree ("Habilitation") in 1989. After that he worked for one year as a researcher in the Software Ergonomics Department of the IBM Scientific Center in Heidelberg. From 1987 to 1991, he was a frequent visiting lecturer at the Intitution för Teknisk Databehandlung at the Universitet i Uppsala, Sweden. Strothotte took a faculty position in computer science at the Freie Universität Berlin in 1990, and after a sabbatical at the University of British Columbia (Vancouver) in 1993, he moved to the Institut für Simulation und Graphik of the Otto-von-Guericke-Universität Magdeburg in Germany as a full professor of computer science. There he heads the Computer Graphics and Interactive Systems Laboratory, which has about 20 graduate students and 5 postdoctoral fellows at any given time. In the last five years, he has graduated 14 Ph.D.s and 18 M.Sc.s, and was the driving force behind the establishment of undergraduate and graduate degree programs in computational visualistics, as well as development of their curricula. In Magdeburg, he has also contributed extensively as an administrator. He was the Dean of his Faculty from 1994 to 1996, the Vice President for Academic Planning and Budget of his University from 1996 to 1998, and the President pro tem of the University during 1998. Since March 2001, he has been the Director of the Office of Information Technology of the State of Saxony-Anhalt, where he reports directly to the state's Prime Minister. The results of Strothotte's research and those of the members of his Laboratory have appeared in all major conferences in his areas of expertise, including ACM SIGGRAPH, ACM CHI, and Eurographics, as well as various scientific journals. He is the senior author of Seeing Between the Pixels: Pictures in Interactive Systems (Springer-Verlag, Heidelberg, 1997) and Abstraction in Computational Visualization (Springer-Verlag, Heidelberg, 1998). He has worked on and headed EU-funded research projects and served as a scientific advisor to the European Union in Brussels. He has also contributed to various international conferences by engaging in their program committees (for example, Eurographics, Computer Graphics International, Pacific Graphics, and currently the International Symposium on Non Photorealistic Animation and Rendering NPAR 2002). While living in Germany for over 15 years now, he proudly keeps up contact to his native Canada through frequent visits home, as well as by regularly serving on the program committee of the Canadian Graphics Interface conferences, and teaching as an adjunct professor at Simon Fraser University. Stefan Schlechtweg has been interested in Non-Photorealistic Computer Graphics since he started his Master's Thesis in 1994. He mainly focused on the area of computer-generated line drawings but also on the overall structure and development of NPR. Together with Thomas Strothotte, he developed a graduate course on this topic which has become a regular teaching subject at the University of Magdeburg, Germany, and which was also held at Simon Fraser University in Canada. This course had a major influence on the development of this book. Schlechtweg was born in 1971 in Bad Salzungen, in the state of Thuringia in Germany. 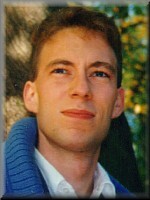 He went to the University of Magdeburg to study Computer Science in 1990. During his studies, his main focus was on Artificial Intelligence and Information Systems before he became acquainted with the idea of Non-Photorealism in Computer Graphics. Fascinated with this area, he decided to focus on this in his master's thesis. Schlechtweg finished his studies in 1995 with a thesis on the topic "Limitation of Drawing Resources in Computer Generated Line Drawings" and received the "Best Annual Graduate Award" from the School of Computer Science of his university. Schlechtweg then moved to Ann Arbor, Michigan, for five months where he worked in the Virtual Reality Laboratory at the University of Michigan. There he was involved in projects on VR design studies and Human Computer Interaction in Virtual Environments, which were supported by the automotive industry. He then went back to the Otto-von-Guericke Universität Magdeburg to work as a research assistant under the supervision of Thomas Strothotte. Starting with a publicly funded project on "Adaptive Graphical Zoom," Schlechtweg began to focus on the connection of NPR techniques and user interaction that set the stage for his thesis topic. He received his Ph.D. in 1999 for his work on "Interactive Scientific Illustration of Texts." Currently, Schlechtweg is an Assistant Professor at the Institut für Simulation und Graphik of the Otto-von-Guericke-Universität Magdeburg working on his German postdoctoral degree. The results of Schlechtweg's work have been published in several papers on smaller and major conferences, including INTERACT and SIGGRAPH. He also contributes to the community as a reviewer for conferences and journals. His current research focus lies on the use of NPR techniques in visualization and on visualizations for small screens. He is co-chairing the International Symposium on Non Photorealistic Animation and Rendering, NPAR 2002, and serves in the organizing committee of the International Symposium on Smart Graphics 2002. Kees van Overveld, born in 1957, obtained both a M.Sc. (1981) and Ph.D. in physics (1985) at Eindhoven University of Technology (EUT). Also in 1985, he joined the computing science department of the faculty of Mathematics and Computer Science of EUT as a university lecturer; since 1990 he has been an associate professor. From 1989 to 1998, he was head of the Computer Graphics group. In 1992-1993, he worked at the University of Calgary, and at the University of Pennsylvania in Philadelphia. As of December 1995, he became Research Consultant for Philips Research. In June 1998, he founded Van Overveld Coaching, a consultancy company in the field of creativity, innovation, and the methodology of technological design. In May 2000, he joined the Stan Ackermans Institute (SAI - the EUT institute for post-graduate programs in technological design) as associate professor. He is now head of the SAI research group in design methodology. 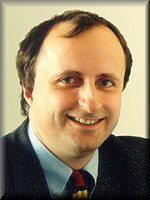 He joined IEEE as an adjoint member (1995-1997), and was a member of ACM (1996-1997).